Hi, I am returning to HBOIERC again after being away for 3 years. I spent the past 3 years working in Moose Lake, MB as a grade 2 teacher. I had a lot of positive experiences there and miss my former students. I worked in Norway House for 10 years prior to going to Moose Lake. My first job was in Jack River School where I taught for 3 years. Then I moved to HBOIERC and worked in various positions for another 7 years. We are excited to be back and hope to be working here for many years to come. I am married to the High School IT teacher, Mr. Rideout, and we have 2 children, Marcia and Bobby. 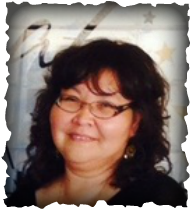 Marcia graduated last year from HBOIERC and she is currently enrolled at UCN to be a teacher herself. Bobby is 9 years old and is in grade 4 this year.